Here’s a salute to camo lovers everywhere! 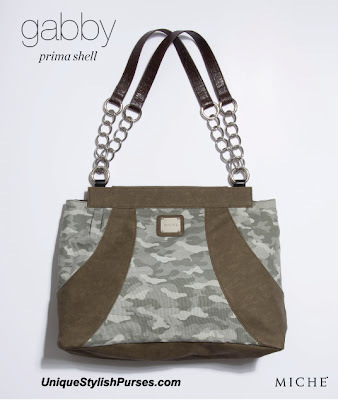 You don’t have to be in the military or enjoy hunting to fall in love with the Gabby Camouflage for Prima Miche Bags. This fun design goes with just about everything and is perfect for any casual occasion. Back pocket with silver ring zipper pull.